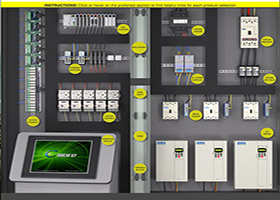 There are many things to consider when building an automation control system. 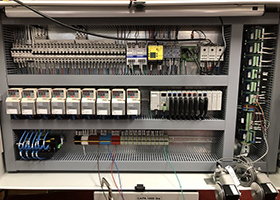 Some control systems are extremely simple, like a pump control system that consists of a pump, level controller, and a contactor, or they can be complicated and control a full production line with a series of sub control systems. 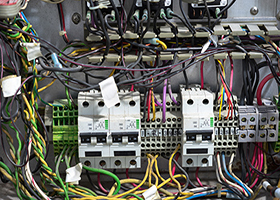 Data collection is common at most manufacturing facilities, along with at least some level of analysis. Ask any automation professional and most will say it’s very important or at least somewhat important. Data has always been important to the success of plants and facilities—so it has been collected, stored and examined for decades. AutomationDirect’s Productivity1000 PLC was announced as a Plant Engineering 2018 Product of the Year finalist in the Machine & Control category. 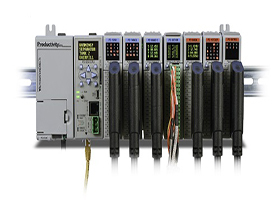 Check out the new Productivity1000 PLC here, and please vote considering its capabilities. Voting closes January 4, 2019, with winners announced online on April 9, 2019 and featured in the May 2019 issue of Plant Engineering. 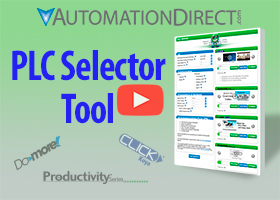 This PLC Selection tool from AutomationDirect, will help in buying the Best PLC for your control system application. 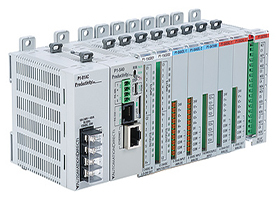 You will be asked to fill in the criteria, for your personalized control application and then the selector will point you to the most affordable PLC that meets your PLC needs. Then it will provide links to help you research the PLC and also build your Basic PLC virtually, with a PLC system builder Tool.